Our centre is located on the Kingswood Hall campus of Royal Holloway University of London near the town of Egham, Surrey, surrounded by beautiful countryside and only 5 miles from Royal Windsor. 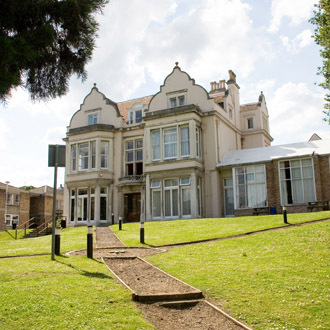 The campus has plenty of outdoor space to enjoy and offers a mix of single ensuite and standard rooms, as well as a large activity room for communal use. Students can easily enjoy the nearby attraction of Thorpe Park and experience the history of Royal Windsor and its castle as well as the sights of London from this location.